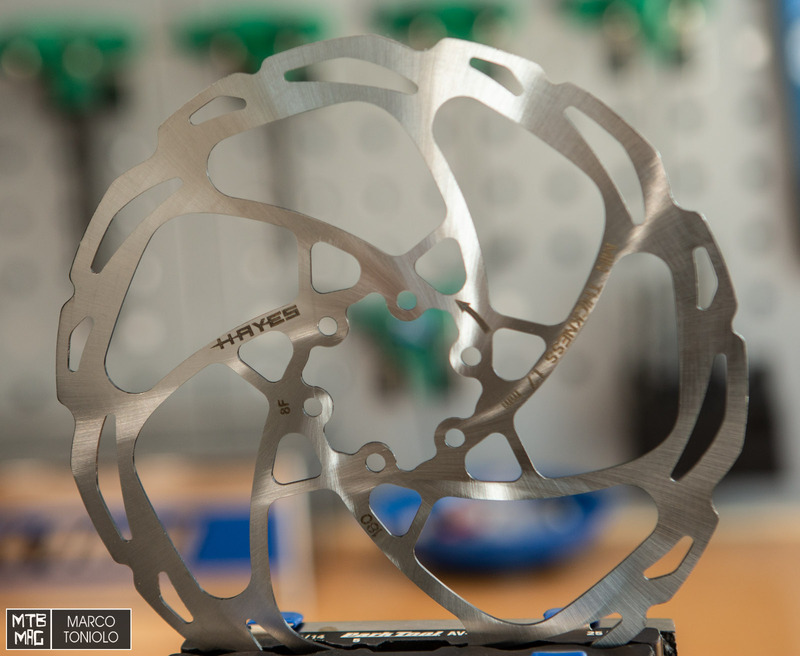 4-piston brake designed for trail, enduro and DH use. Lever with ball bearing main pivot. 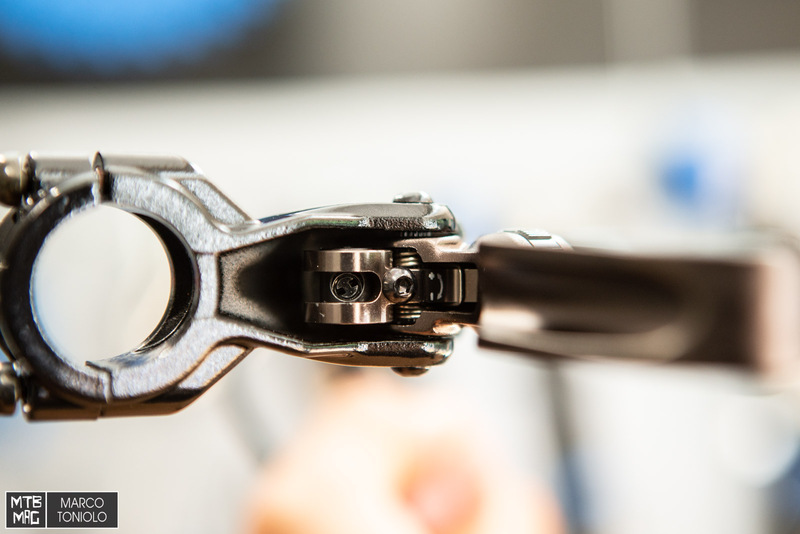 Adjustable lever-handlebar distance with dial, no tools required. Allen screw for vacuum stroke adjustment. Each brake is factory calibrated and arrives without the lever’s free stroke. Aluminum pistons for heat management. 2 Bleedports for each caliper. The fastening screw of the pads also acts as a third contact point to rigidity & power. 180 and 203 mm rotors, 1.95mm thick. Crosshair Caliper Alignment System: aligns caliper via two Allen screws. Weight (our scale): 303 grams for rear brake with hose not yet cut. 180mm rotor: 150 grams. Price: 199 euro per brake. Rotors: 39 euros. Tested configuration: 180mm disc at the rear, first 180mm front and then 203mm. Sintered and semi-metallic pads. powerful but adaptable: they are not “on / off” brakes, so it’s possible to dose the strength, partly thanks to the ergonomic levers that are easy to use with one finger. 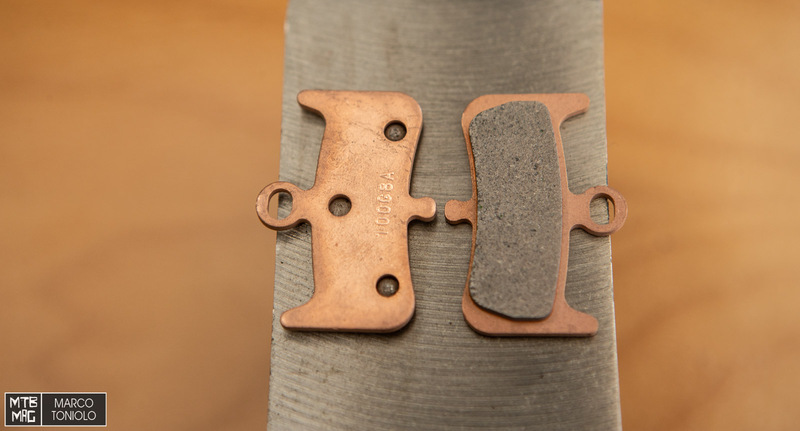 Excellent management of pads pad wear: the braking point has remained constant over time while the pads were used. From the picture below you can see how the consumption is constant and moves uniformly throughout the surface, a unique thing that’s rare, in my experience. Ease of bleeding: the two ports on each caliper help to remove any air bubbles. I found the most power with sintered pads, while the semi-metallic ones, while noisier, needed more braking time before getting to temperature and working well. The difference between the 180 and 203mm discs up front is mainly just a power difference, while the modulation remains almost constant. 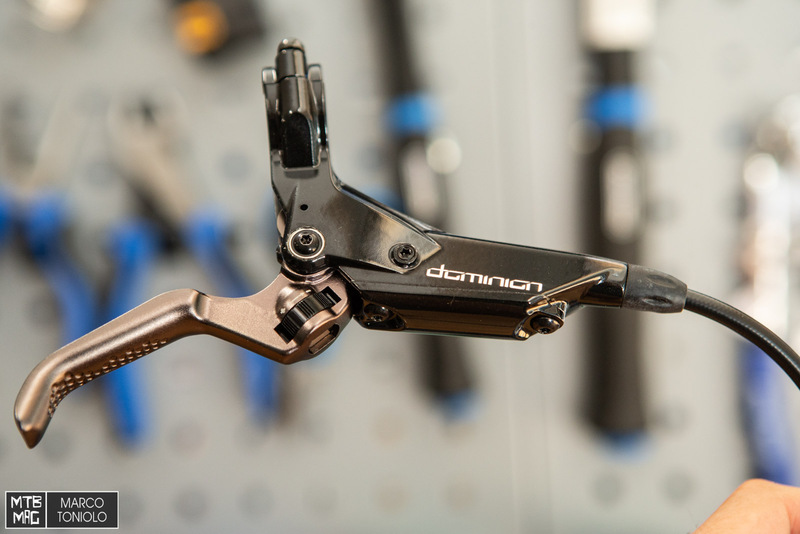 The results were positive across the board: with the Dominion Hayes is back on the big field in the disc brake world and I can recommend them to those looking for a powerful brake for enduro use, DH or Ebike. There are a titanium MiddleChild and an all-new steel 29'er hardtail in the works for 2019.